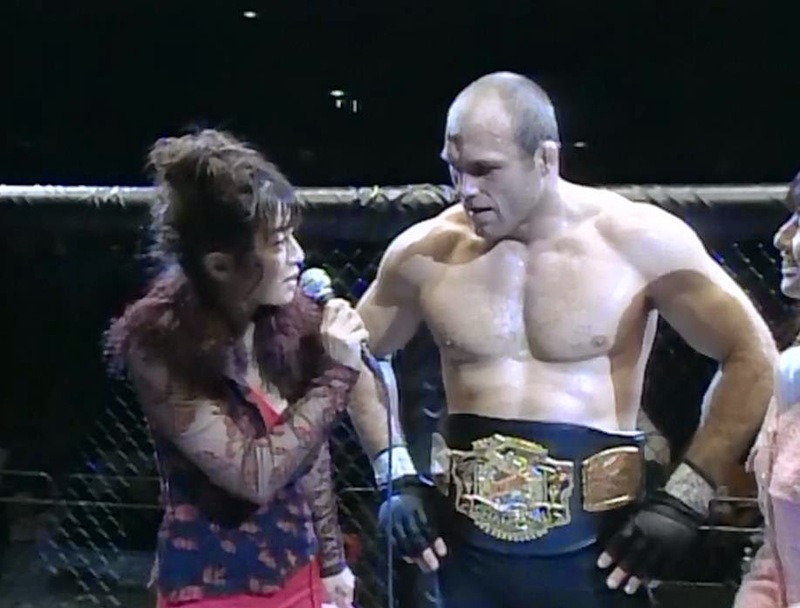 Shamrock entered the fight with a 11-7-1 record, mostly compiled in Pancrase. Jackson had won the middleweight tournament at UFC 14. Tank Abbott kicked off the heavyweight tournament with a decision win over Japanese pro wrestler “Mr. 200 Percent” Yoji Anjo. The other semifinal, pitting Kaz Sakuraba against Marcus Silvera ended in a no-contest. Referee Big John McCarthy had stopped the fight in Silvera’s favor when Kaz was going for a takedown. He changed the result after deciding he had mistakenly stopped the fight. When Abbott couldn’t continue due to a broken hand, Sakuraba and Silvera battled again in the tournament final. This time, Kaz won with an armbar at 3:44. He went on to become a big star in PRIDE Fighting Championships. Vitor Belfort rebounded from his loss to Couture at UFC 15 by defeating Joe “The Ghetto Man” Charles with an armbar at the 4:03 mark. UFC Ultimate Japan is also notable for the debut of longtime UFC play-by-play announcer Mike Goldberg.